Using a CD laddering strategy when investing in Certificates of Deposit (CDs) is a smart move as the United States transitions into a period in which interest rates are expected to rise, as the United States Federal Reserve reverses its long-standing near zero interest rate policy. The CD laddering strategy is a time-tested way of getting the most out of fixed-income Certificate of Deposit investing. While it takes some time and patience to implement, this strategy pays off well for those that use it, since it provides investment flexibility as time passes. To be perfectly clear, a CD laddering strategy is not right for all investors. If you need to put money into a Certificates of Deposit for a specific need in the future, such as a new car you anticipate buying in two years, then you would be better of just buying a Certificates of Deposit that expires in two years. 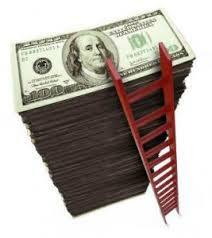 The CD laddering strategy is also not suitable for investors looking to make fast money. The type of investor that would benefit from using the CD laddering strategy is an investor that wants to invest their money in safe fixed-income securities, but also wants to maximize their investment returns. While CD laddering will not provide the incredible investment returns that momentum stocks provide; it does provide a way to maximize returns when an investor is seeking to invest safely in fixed-income products. 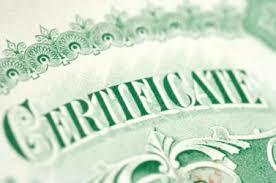 It also provides flexibility regarding what to do with money once a Certificates of Deposit matures. Certificates of Deposit (CDs) were at one time the cornerstone of fixed-income investing. While savings bank accounts paid a decent rate of return in the days before the United States Federal Reserve’s near zero interest rate policy began during the 2008/2009 financial crisis, Certificates of Deposit (CDs) always paid a better rate of return, especially Certificates of Deposit (CDs) that matured years out. With the zero interest rate policy in effect for many years a whole generation of investors have failed to gain an understanding of how to safely invest using Certificates of Deposit (CDs). The CD laddering strategy is pretty simple, but it only works during times when interest rates are on the rise. With interest rates expected to rise, instead of investing all of your money into one Certificates of Deposit (CD) at one time, hold back and invest just a portion initially. Then, over a period of time, say every three months or six months, make additional investments in Certificates of Deposit (CDs). The idea is that over time, with interest rates on the rise, your investments in Certificates of Deposit (CDs) will yield higher rates of return. For example, instead of investing $100,000 in Certificates of Deposit (CDs) when a five year Certificates of Deposit (CD) is paying 2%, invest just 20% or $20,000 initially. If the Federal Reserve aggressively raises interest rates, the next investment may be made three months later, when five year Certificates of Deposit (CD) is paying 2.5%. Continue investing every three months or when the Federal Reserve raises interest rates sufficiently. If you invested $100,000 in Certificates of Deposit (CDs) at five different times, 20% each time, as interest rates rise from 2% to 4% for five year Certificates of Deposit (CDs), you will be earning 3% once you are done investing, instead of 2%, if you had invested the money all up front. Of course, the CD laddering strategy can be altered to take advantage of the anticipated interest rate environment or your own investment outlook. If interest rates are rising quickly and you need the money sooner than five years, you could make investments in Certificates of Deposit (CDs) faster in shorter maturing Certificates of Deposit (CDs). The point is that once you are averaged in, you will be earning a higher rate of return. Another important part of the CD laddering strategy is the fact that the Certificates of Deposit (CDs) that you purchased at different time intervals will mature and pay back the principal invested at the same time intervals in the future. So, instead of having to deal with how to use or reinvest a large block of money all at once, you will have smaller blocks of money available to reinvest over a period of time. This can be useful if interest rates continue to rise, as you can roll over your Certificates of Deposit (CDs) investments into higher yielding Certificates of Deposit (CDs) rates over time. In other words, continue the CD laddering strategy. Or, you can figure out the best way to invest your money in the new economic climate, without committing all of your money all at once. There are some things that have to be understood about Certificates of Deposit (CDs) when using the CD laddering strategy. Certificates of Deposit (CDs) pay higher interest rates the longer you are willing to tie up your money in them. A Certificates of Deposit (CD) that matures in one year may pay just a fraction of what a Certificate of Deposit (CD) that matures in five years will pay. Make sure you purchase Certificates of Deposit (CDs) that make sense for your financial needs, since early withdraw from Certificates of Deposit (CDs) comes with penalties that could negate any gains. If you are unsure, err on the side of caution and buy Certificates of Deposit (CDs) that mature sooner rather than later. The CD laddering strategy can only be utilized when interest rates are rising. There is no advantage to using it when interest rates are stabile, beyond the fact that your investments will mature at different times in the future. Utilizing the CD laddering strategy interest rates are falling or are expected to fall would have the opposite effect, as you would be averaging into Certificates of Deposit (CDs) at lower rate. Make sure that you keep your investments below the Federal Deposit Insurance Corporation (FDIC) threshold, so you do not lose your investment if a particular financial institution goes bankrupt. If necessary, split Certificate of Deposit (CD) investments among several financial institutions to remain below the FDIC threshold. May 1, 2015 will go down in history as the day when Tesla Motors entered the battery storage business for home and business applications. It will be a day that marks a major shift in the energy markets, which will have a dramatic and far-reaching effects on many people for years to come. Tesla’s entry into the battery storage business could be a major game changer for both the company and the widespread adoption of renewable energy in the United States and throughout the world. This would not be an Earth-shattering development if it was not made by the highly motivated Tesla founder, Elon Musk. He is not known to pontificate about unrealistic business plans. When Elon Musk sets his mind to something, such as bringing affordable electricity battery storage to the masses, it is highly likely to happen. Tesla’s entry into the battery storage business is not only a likely game changer for renewable energy, but it may also provide a big boost to Tesla Motors’ stock (NASDAQ: TSLA). Many analysts were scratching their heads when Elon Musk announced that Tesla would build a massive lithium-ion battery factory in the United States, which has come to be known as the “Gigafactory”. The multi-billion dollar investment in the huge battery producing factory in the Nevada desert was thought of as an enormous expense for an electric car company to take on just to obtain less expensive batteries for their electric vehicles. In hindsight, it is now obvious that Elon Musk had other ideas on this mind, beyond simply producing batteries for the highly sought after Tesla electric vehicles. 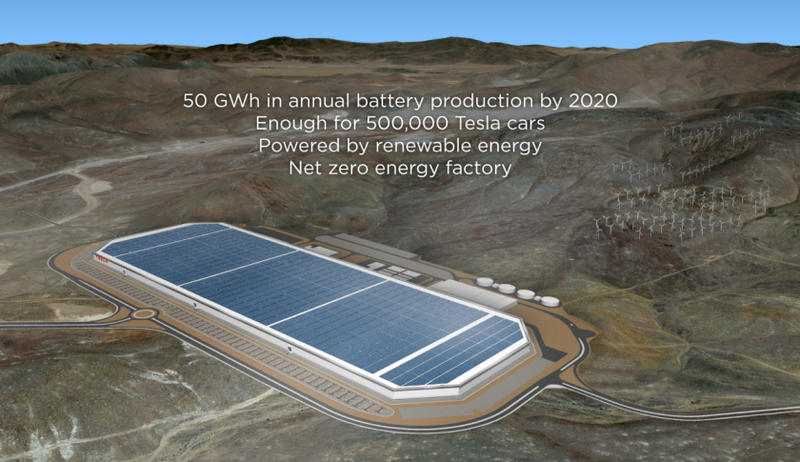 With the recent announcement that Tesla is entering the battery storage business, the investment in a massive battery producing facility makes a lot more sense. Musk is positioning Tesla to be the dominant player in the world of on-site electricity storage that is unfolding as distributed renewable sources of electricity, such as solar and wind power, are becoming more competitive versus grid provided sources of electricity. 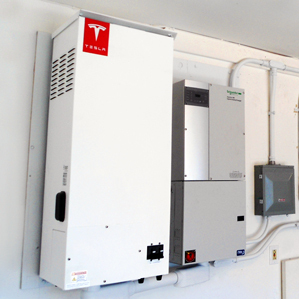 So, what is the big deal about Tesla entering into the battery storage business? 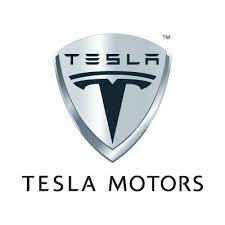 This development has big impacts for Tesla’s stock TSLA. The stock trades at a lofty level that gives the company a rich market capitalization of approximately $29 billion. This valuation is hard to justify if Tesla is simply trying to take on long-established car companies and take a slice of the automobile market. But now, with its entry into the battery storage business, Tesla’s potential revenue and earnings picture has grown much larger. The amount of revenue and earnings that could be generated in the emerging battery storage business, in which there are no dominant players, could be very significant and could justify Tesla ’s high valuation. Let’s take a look at the projected numbers for the battery storage business to gain a grasp of just how big this business sector is going to be and the positive impact it could have on Tesla’s earnings and stock price going forward. A company called GTM Research studied the emerging battery storage business in conjunction with the Energy Storage Association. They found that the battery storage business was rather small in 2014, with approximately $128 million in sales. However, sales were found to be growing at 40 percent year, with the current sales growth rate expected to accelerate in coming years, as an explosion in renewable energy installations is expected. Based on current trends, they project that the battery storage business will be generating over $1.5 billion in sales by 2019. No small chunk of change. What really makes it appealing for Tesla is the fact that there is not yet a company that dominates this business sector, so they have plenty of room to grow. It appears that Elon Musk intends for Tesla to be the dominant company in this fast growing business segment, offering both residential and more expensive commercial battery storage systems. Tesla has the advantage of having their huge gigafactory coming online over the next few years and their close relationship with another of Elon Musk’s companies, Solar City, which will provide a customer base to sell their battery storage systems to. Beyond 2019, sales in the battery storage business could grow to the tens of billions of dollars each year. At the same time as Tesla is refining its battery storage products and ramping up production, the cost and installation base for renewable energy is expected to explode. By 2020, wind and solar energy will be cheaper than grid electricity in many parts of the United States and in some parts of the world. This all adds up to potentially huge revenues for Tesla going forward, which should boost the company’s earnings and stock price. What does this all mean for an average consumer of energy in the United States and by extension throughout the world? It means that Elon Musk and Tesla may be spearheading a new era in energy. Long the dream of environmentalists and others that wanted to move on from fossil fuels, it appears that a shift to a fossil fuel free energy model may be possible in the not too distant future. Not just for one’s personal vehicle, but for their home as well. Here’s how it will work. If you have solar power system installed on your roof or a wind powered generator on your property, you could use Tesla’s residential battery storage device to store the electricity that you generate. You could then light and heat your house with the electricity at any time of the day or night, using the stored power. If you own an all-electric Tesla car or sports utility vehicle, you could power it using energy produced and stored at your home. It is not hard to imagine how big this could be for Tesla and what a dramatic change it could mean for the world. 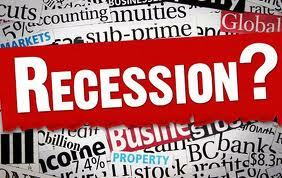 Why It Is Time To Ask: Is a Recession Coming? With the United States economy in the sixth year of economic expansion, it is a good time to ask whether there is a recession coming in the not too distant future. The average recovery since World War 2 has been approximately six years, so based on this average alone, it is time to question whether a recession is looming. Of course, economic circumstances change over time, so each economic expansion is not exactly the same. During recent economic expansions, it appears that the unprecedented Federal Reserve intervention in the United States economy has caused economic recoveries to last longer than they have in the past. Instead of relying solely on historical trends, it is useful to look at economic indicators to gauge whether a recession is coming in the near future. A look at the current snapshot of economic indicators that track whether a recession is approaching provides some useful clues regarding where we are at in the current economic cycle and whether a recession may be approaching. This is important information for both stock market traders and investors to understand, since a recession is usually accompanied by a stock market decline, which can be quite significant. There are even ways that money can be made during a recession and stock market decline. One of the most reliable recession indicators is iM’s Business Cycle Index. While this index is currently in an upward trend and does not indicate an impending recession, it does provide some interesting clues for traders and investors that want to get ahead of the recession curve and know when the next recession will hit the economy. As of late April, the weekly Business Cycle Index is at a level of 193.0. The six-month smoothed out annualized growth Business Cycle Index is at 19.2. Both of these readings are healthy and their upward trend is in line with economic reports that indicate that the economy is expanding. See the image on the right for a graphic depiction of where the two Business Cycle Index readings are in comparison to the past two decades. What is interesting about the Business Cycle Index numbers is that they are now approaching the levels that they were at during 2008, when the economy last peaked and headed into a recession. That recession was quite severe and resulted in a sizable bear market sell-off. Anyone who was able to get an early warning of the pending recession and make adjustments to their investment portfolio was well served by following this indicator. As you can see from the image to the right, the two Business Cycle Index readings both provided warnings of pending recessions a few months before they happened. They peaked and then started heading down before the economy started contracting, providing traders and investors time to adjust their investment portfolios for the impending stock market sell-off. The key is take action when the two Business Cycle Index readings top out and start heading down. This occurs just before a recession occurs. Of course, it is a good idea to look at other recession indicators for confirmation that a recession may be approaching. There are four big economic indicators that economists use to identify the state of the economic cycle and whether a recession is approaching. They include: Industrial Production, Real Personal Income, Nonfarm Employment, and Real Retail Sales. The reason why these four indicators are utilized to gauge whether a recession is coming is because they tend to provide a good snapshot of where the economy is heading. Real Personal Income and Real Retail Sales are the best two indicators to focus on, since the United States economy is comprised of a 70% contribution from consumer spending. Without rising Real Personal Income and Real Retail Sales, the economy has a hard time growing. Industrial Production should be looked at with a longer view over a number of months, since it can be a choppy indicator that can provide false positives and negatives when viewed during a short period of time. Nonfarm Employment can be misleading, since it is not all that uncommon for employment to keep growing due on momentum, even as the overall economy is slowing. But taken into consideration with Real Personal Income and Real Retail Sales, both the Industrial Production indicator and the Nonfarm Employment indicator can provide valuable clues regarding the direction the economy is moving and whether a recession is on the way. 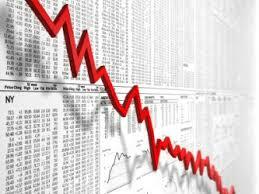 Chance are that if the economy goes into recession that the stock market is going to sell-off. Stocks ultimately obtain their value from earnings, and earnings fall during times of economic contraction. This causes the stock market to sell-off during the first part of a recession. Sometimes the sell-off in stocks is steep, exceeding 20% or more. This provides an excellent buying opportunity for long-term investors and a good trading opportunity for stock traders. There are a couple of important things to remember when investing or trading directly before and during an economic recession. First off, any steep sell-off that materializes could take several months to materialize. If you see a recession coming, and indictors continue to indicate that a recession is on its way or has commenced, it may be time to trim your stock holdings. Sometimes it takes a few months for the stock market to respond to lower earnings and other bad news associated with a recession. Second, if you are looking to buy stocks at the depths of a recession, buy towards the middle of the recession, when economic indicators stop falling and the recession is at its worst depths. The stock market is notorious for rallying sharply coming out of a recession, in anticipation of better economic times ahead. The stock market will move higher long before a recession is over. Posted in Stock Market NewsComments Off on Is a Recession Coming? With 2015 off to a volatile start and fourth quarter corporate earnings coming in weaker than expected, the question on many investor’s minds is whether the stock market forming a top? Of course, that is a hard question to answer, but taking a look at the underlying fundamentals that cause the stock market to move can provide some clues to the answer. 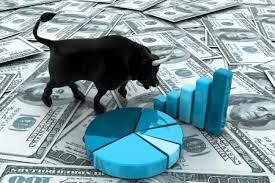 There are numerous indicators that can be assessed to determine if the stock market is forming a top. It is important to take a look at the most important indicator to get a sense about whether the stock market is in the process of forming a top. While there are many variables to focus on when looking for an answer to whether the stock market forming a top, there is one key variable that stands out above the rest, because it is what ultimately drives the stock market higher. Conversely, it is also the main reason why the stock market experiences sustained sell-offs, particularly during recessions. This key variable is corporate earnings. While the stock market is pushed up and down by a variety of factors and news events over the course of a year, it is ultimately reported and projected corporate earnings that drive stocks higher and lower over the medium and long terms. Earnings have been increasing steadily since the March 2009 stock market bottom, albeit slower than the rate of increase in the stock market itself. This increase has provided the foundation for the stock market rally since 2009. What does the earning picture for 2015 tell us about whether the stock market forming a top? Earnings estimates for 2015 by stock analysts have come down considerably since the spring of 2014. They have gone from projected earnings growth year over year of nearly 12% in early 2014, down to estimate of an approximately 7% increase in earnings more recently. The current earnings estimates for all of the companies in the Standard and Poors 500 index (S&P 500) combined for fiscal year 2015 is $123 per share, which is up from combined fiscal year 2014 earnings of $115. Sounds like impressive earnings growth at first glace, but if earnings for fiscal year 2015 come in at $123, the price to earnings (P/E) ratio for the S&P 500 index combined will be over 16 at the end of 2015. That leaves little room for stock market appreciation during 2015, since the long-term average for the S&P 500 index price to earnings (P/E) ratio is 15. Complicating the picture is the fact that energy companies make up 20% of the $123 estimated combined S&P 500 earnings for fiscal year 2015. Given the drop in oil prices, energy company earnings are likely to come up short, lowering the actual S&P 500 combined earnings for 2015. A strengthening United States dollar and fourth quarter 2014 earnings misses by some key Dow Jones Industrial Average companies, such as Microsoft (NASDAQ: MSFT) and Caterpillar (NYSE: CAT), are also troubling developments on the earnings front. A strong United States dollar means companies that earn money overseas have to reduce their earnings when they are converted to dollars from a foreign currency. Another Dow Jones Industrial Average component, DuPont (NYSE:DD), lowered forward guidance for fiscal year 2015 by a whopping 60 cents per share, citing concerns about the strong dollar’s impact on the company’s earnings. Lowered earnings expectations by companies doing business overseas may quickly become common in the stock market, threatening the earnings growth rate for 2015. Earnings growth would need to be considerably higher during 2015 to support higher stock prices. That is not to say that the stock market will not disconnect from the earnings backdrop and continue to rally higher, as it has in recent years. During 2014, the soaring stock market often traded with an S&P 500 index price to earnings (P/E) ratio above 17. However, that was during times when the Federal Reserve was supporting the stock market with Quantitative Easing (QE). 2015 does not have Federal Reserve Quantitative Easing support and will likely be the first year in many years in which the Federal Reserve starts raising interest rates. Based on these factors, especially earnings slowing their increase, a medium-term stock market top may very well be in for now. The Federal Reserve will not be there to backstop the stock market this time around, unless they undertake an unprecedented fourth round of Quantitative Easing (QE 4). While that may be possible under extreme financial duress, the political winds do not favor the Federal Reserve implementing QE 4 during an orderly stock market sell-off. In fact, it appears the Federal Reserve is intent on raising interest rates, starting some time during 2015, which will be yet another headwind that will work against the stock market making new highs during 2015. 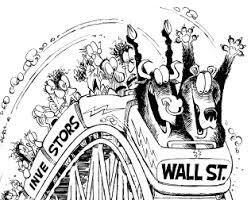 If the stock market is in fact forming a top in 2015, then expect choppy trading throughout 2015. Instead of growing earnings driving the stock market higher, the stock market will be driven by news events. Down hard one day, due to weak economic numbers or earnings, up hard another day, due to stimulus by countries around the world or perhaps surprise upside economic numbers. For a stock market top to be confirmed, earnings will have to fall from current levels. While earnings growth has slowed, corporate earnings are still growing and are projected to grow during 2015 by about 7%. What is most likely for 2015 is that the stock market will trade sideways, as gains over recent years are consolidated and digested. Stock market participants will wait for signs regarding earnings and economic forecasts for 2016. 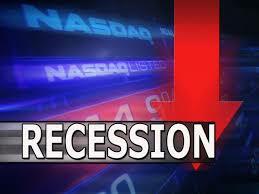 For a true bear market sell-off to take hold and a 2015 medium-term stock market top to be confirmed, the economy would have to fall into recession, taking corporate earnings down with it. Given the fact that the current economic expansion is in its sixth year, which is a long time for an economic expansion, the likelihood of a recession in 2016 has to be considered, which would be accompanied by a stock market sell-off. At that point, investors would be wise to start looking for a stock market bottom towards the middle of any recession that occurs. While a Greek exit from the Euro is not a certainty, it is worth considering how to trade the Greek exit from the Euro currency Eurozone economic bloc, and European Union. The long-discussed Greek exit from the Euro has come to be known by the ‘Grexit’. Whether it becomes a reality or not may have a major impact on financial markets around the world. There has been talk of Greece’s exit from the Eurozone for a number of years, since Greece’s foreign debt load became so severe that they could no longer service their debt or obtain new financing in international credit markets. The debt situation became so dire that Greece required an international bailout in order to avoid defaulting on their government bonds. The Grexit talk has picked up again, with a looming parliamentary election on January 25th that may result in the election of the Syriza party, which wants to exit the Eurozone and leave the Euro currency behind by reverting Greece to the Drachma currency. If this were to happen, it may have major investment impacts, which is why the implications surrounding the Greek exit from the euro need to be understood by investors. To understand why the Greek exit from the Euro may happen, it is important gain some perspective on the situation. 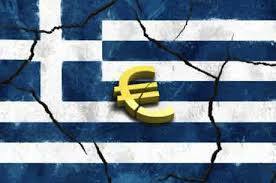 Former governments that ruled Greece in decades past borrowed heavily in international markets. Normally, international creditors would have cut a county like Greece off when their debt limit reached unsustainable levels; however, past Greek politicians committed fraud and hid the country’s financial obligations from international creditors. The 2008 / 2009 financial crisis that rocked the world, reveled Greece’s higher than advertised financial obligations and it quickly became understood that Greece had borrowed much more money than its small economy could ever repay. International creditors then cut Greece off from the international debt markets, and Greece faced a crisis regarding how to make good on interest payments on their existing debts. After a lot of consternation and politics, the European Union, European Central Bank and International Monetary Fund bailed out Greece in 2010 and 2011 with a $285 billion bailout that restructured the country’s debt obligations. Now Greece is faced with cutting back on public services, restructuring its economy, and paying back its restructured debt obligations. This has not gone over well with the public in Greece. An anti-European Union far-left political party called the Syriza party is leading in polls in the January 25th parliamentary election. If Syriza wins, it could lead to a Greek exit from the Euro, which has major financial implications both inside and outside of Greece, including the United States. In the interconnected financial world of the 21st Century, major changes in even small countries like Greece can roil the financial markets around the world. Unlike the past times when a Greek exit from the Euro seemed improbable, Germany now appears to be warming to the idea, which makes it possible this time around. Possible, but still not likely, as much of the talk may be political posturing for an eventual deal that lessens Greece’s financial obligations under their bailouts. However, a prudent investor must be prepared for the worst case scenario of Greek exit from the Euro that could have major financial ramifications for their portfolio. The Eurozone economy is fragile at best and any further shock caused by a Greek exit from the Euro could make a bad situation even worse and cause stock market sell-offs across Europe as well as the United States. A Greek exit from the Euro would also open up the possibility that other Eurozone members may consider an exit, causing uncertainty at a time when the financial markets need certainty. The following are some ideas regarding how to trade a Greek exit from the Euro. A major factor regarding how a Greek exit from the Eurozone and Euro currency would affect financial markets around the world depends upon whether the exit is done hastily as a disorderly exit or if it is done carefully. It is important to keep in mind that even if Greek authorities try to exit the Eurozone and Euro currency carefully, market forces often take over in these situations and cause unexpected outcomes. 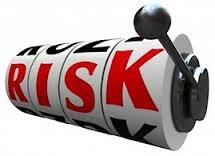 It is this uncertainty that traders can trade and need to prepare for. In the run-up to the Greek elections, consider buying long-oriented volatility Exchange Traded Funds (ETFs) that have the potential to increase in price as stock market volatility increases, due to uncertainty regarding Greece’s exit from the Eurozone. Long-oriented volatility Exchange Traded Funds include: ProShares Trust VIX Short-Term (Symbol: VIXY). ProShares Trust VIX Mid-Term Futures Index (Symbol: VIXM), Velocity Shares Daily 2x VIX Short Term (Symbol: TVIX), and VelocityShares Daily 2x VIX Med (Symbol: TVIZ). After the Greek elections and once the situation regarding a pullout from the Eurozone becomes clear, consider buying short-oriented volatility Exchange Traded Funds (ETFs) that have the potential to increase in price as stock market volatility settles down, as uncertainty regarding the future of Greece’s role in the Eurozone diminishes and the stock market focuses on other factors. Short-oriented volatility Exchange Traded Funds include VelocityShares Daily Inverse VIX ST ETN (NYSE: XIV), ProShares Short VIX Short Term (Symbol: SVXY), iPath Inverse S&P 500 VIX Short (Symbol: XXV), and VelocityShares Daily Inverse VIX Mid-Term ETN (Symbol: ZIV). If you want to try to trade the Greek equity markets directly, an Exchange Traded Fund (ETF) known as Global X FTSE Greece 20 (NYSE: GREK) is one way to invest in Greek stocks. Just be careful, since the direction of Greek stocks and GREK are quite uncertain as the country considers leaving the Eurozone and Euro currency. There is a lot of uncertainty about what the Greek election result will be, since even if the Syriza party wins the election, it will likely need coalition partners to form a government. 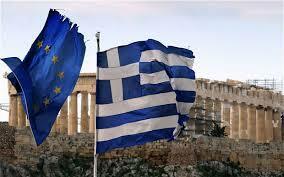 Based on public statements, other parties may not be on board with their plan to for a Greek exit from the Euro. In fact, the two leading contenders, the To Potami party and the New Democracy party are running on platforms that include remaining in the Eurozone. If nothing else, the scare surrounding a possible Greek exit from the Euro may create good trading opportunities in volatility securities and inr Greek stocks and securities, as well as stocks and securities in other countries. 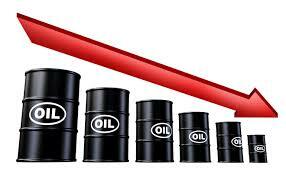 The Oil Price Drop | How Much Has Oil Fallen? The oil price drop has been one of the biggest economic stories of the fall of 2014. Brent crude oil, which is the crude oil benchmark that sets most gasoline and heating oil prices in the United States, has dropped from approximately $110 to $70 from July 2014 to December 2014, or an approximately 36% drop. That is a huge drop for such an economically important commodity that affects pricing and business conditions for practically the entire economy. With such a significant drop in the price of crude oil and similar price decreases in oil’s derivatives products that consumers and businesses use to fuel their vehicles and operations, there are very real effects on stocks and the economy that traders and investors need to consider. The oil price drop effect on stocks is somewhat complicated by the fact that many stock sectors will benefit from lower oil prices, while some specific sectors will be hurt by lower oil prices. While the broader economy and the stock market as a whole benefit from lower oil prices as consumers have more money to spend and many businesses will be more profitable, there are certain sectors of the stock market that are hurt economically when oil prices fall, as significantly as they have during late 2014. The stock sectors that benefit the most from lower oil prices are ones that have cost structures that are tied into the cost of motor fuel. This includes trucking companies, airlines, and automobile manufactures. Indirectly, stock sectors such as restaurants and retailers benefit from lower oil prices. The benefit of lower oil prices to transportation stocks is obvious. Just take a look at the performance of the Dow Jones Transportation Average (NYSE: ^DJT), which is up approximately 10 percent since the summer of 2014, when fuel prices started their decent. Although transportation companies can take long-term measures to make their fleets more efficient or to run on alternative fuels, they are still so reliant on motor fuels made from crude out that significant changes in the price transportation fuels go right to their bottom line, because they have a cost structure that requires a great amount of transportation fuels to operate. Consider transportation stocks, including airlines, trucking companies, shippers, and automobile companies, since they all should benefit from lower oil prices during the last quarter of 2014 and during 2015. Automobile companies might seem like a curious group of stocks to include in an investment strategy that takes advantage of lower oil prices, but there are good reasons to include them. For one thing, lower oil prices mean more people can afford to buy automobiles. For another thing, when consumers come in to buy an automobile, they are more likely to opt for the more expensive larger models that have higher profit margins, since gasoline prices have come down so much. Another tailwind for automobile companies during 2015 is the fact that they average automobile on the roads of the United States is 11 years old. That is a very high average age for automobiles, which will help prod consumers into automobile showrooms to buy new cars. 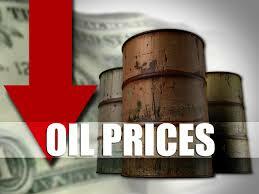 The oil price drop effect will have a positive effect on the United States economy. A significant drop in oil prices not only puts a lot more money into consumer’s pocket that fuels consumer spending (which drives 70% of economic growth in the United States), it also provides lower costs for many industrial and commercial sectors of the economy that use oil products. Everything from food production to automobile manufacturing uses a significant amount of oil to bring finished products to consumers. A drop in oil prices provides these industries, as well as many others, additional money for them to reinvest in their businesses or to apply to their bottom line profits, which boosts the economy and stock prices. Dropping oil prices also cause a deflationary effect on prices, since so much of the United States economy uses oil in some way or another, which will not only relieve consumers from rising prices, but will also prevent the Federal Reserve from raising interest rates sooner than they plan to during 2015. The one complicating effect from falling oil prices for the United States economy is that as oil prices fall, they will likely cut into the recent growth in the oil drilling sector, especially in North Dakota and Texas. While the rest of the country stands to benefit from lower oil prices, regions that are tied to the production of oil, which have seen tremendous economic growth in recent years, should experience diminished economic activity. At some point, drilling for oil just becomes uneconomical, and for many of the new oil wells that point is in the $70 to $80 per barrel range. As oil wells are closed and oil exploration and drilling activity is curtailed, jobs will be lost and specific oil drilling regions will suffer. However, on balance, the United States economy will benefit from lower oil prices. If oil prices fall low enough, for example, below $50 per barrel, there could be massive job losses and bankruptcies in the oil producing regions of the United States. At that point, restaurants and companies connected to leisure will benefit greatly, since oil prices that low will make going out to eat and traveling to leisure destinations much more palpable for average consumers. Such a steep drop in oil prices will reshape the oil industry and depress local economies, but overall the United States economy will benefit from much cheaper oil as it adds to quarterly Gross Domestic Product (GDP). Any shake out in the oil industry that is caused by falling oil prices should be viewed as a buying opportunity for long-term investors. The key is to buy oil companies that are well capitalized and will survive the oil price drop and thrive once oil recovers in price. Some oil companies will benefit tremendously, as they buy competitors at fire sale prices.